Hatching eggs for the above. We sell quality turkey poults for the traditional Christmas market. 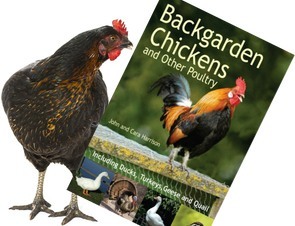 Keeping breeds of poultry for eggs and our poultry showing hobby. Throughout the year we have surplus hatching eggs and stock of all ages from day old to point of lay. We are very small breeders and all the stock we part with are from our genuine pure breed showline poultry. All stock/ hatching eggs are sold as pets, garden birds and occasionally some suitable as show breeders. Collection is possible and as we travel the country to shows we can usually meet up if required. We specialise in silver laced Orpingtons which are a rare but beautiful breed. These birds are large fowl and are very tame and lovely with children. We can supply hatching eggs, point of lay and by summer 2015 breeding trios. We also have some maran breeds including copper black, copper blue and splash which give lovely dark eggs. Rooster is Jersey Giand and all hens are Warrens. I have successfully hatched chicks from mixing these breeds - both breeds lay pale coloured eggs and the hens are laying good sized eggs. Message/Email me for more information and availability. These are rare breeds and sometimes I have stock for sale and Hatching eggs. Please contact me to see if I have anything you would like. Hatching eggs, Day old chicks, Growers, Layers and Breeding birds. We also Supply egg cartons, feed, and housing. Large and small orders welcome.